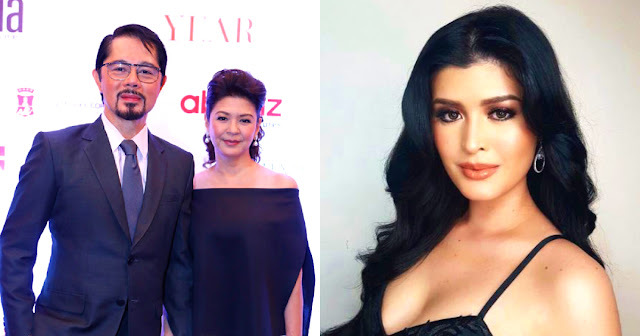 Home / Showbiz / Anak ni Christopher De Leon, Gusto nang Kalimutan ang Pagiging Beuaty Queen! Anak ni Christopher De Leon, Gusto nang Kalimutan ang Pagiging Beuaty Queen! Mariel De Leon was born to the life of fame. This is quite literally because she is the daughter of Veteran actor Christopher De Leon and actress Sandy Andolong. But aside from her lineage, another claim to fame for her name was her 2017 stint at Bb. Pilipinas. She joined Binibining Pilipinas 2 years in a row. While on her first she didn't make the cut; for her second try, Mariel won as Ms. International and represented the country in Tokyo, Japan in 2017.
espite her loss in the international scene, one would think that she would pursue her dreams further and try to hone her talents and skills to be the next big name for worldwide pageantry. “I’d appreciate it if you guys could stop tagging me in pageant posts (especially if it doesn’t even involve me). I don’t like being called ‘beauty queen.’ It means nothing to me. Women are not whatever ‘title’ society chooses to ‘name’ us. Women are so much more than that. She didn't give any definite reason for choosing to end her pageantry career but talked about avoiding "toxic, negative, and fake people". “I like having a simple, quiet, and private life — unless I post something my social media. It is mine. I choose what to show you. You do not see everything in my life. I control what you see. After the international competition, Mariel focused her efforts to show business. She became a model and ultimately a leading lady for Coco Martin in his film "Ang Panday".